Q. 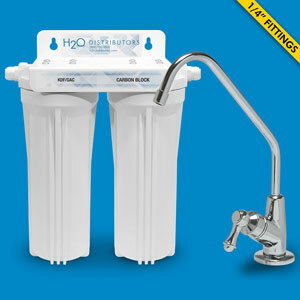 Use a Water Filter? I know there are a lot of contaminants and toxins in water these days. 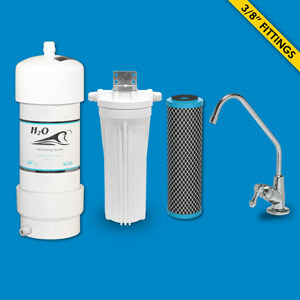 What do you recommend for a water filter? Water quality varies from place to place — consider having your water tested to see what impurities it contains. The results of such a test could affect your choice of filter and help you decide whether you actually need one. Keep in mind that a thorough test can easily cost more than a hundred dollars. Chlorine and lead are the two most common contaminants in water. Chlorine produces by-products that contribute to cancer and birth defects. The chemical itself may contribute to heart disease. Lead is toxic even in small amounts. High-level lead poisoning can cause organ damage and stunt the nervous system, leading to mental retardation. In many cities, public health officials are finding water contaminated with cryptosporidium, a microbe that can cause great harm to people with compromised immune systems. 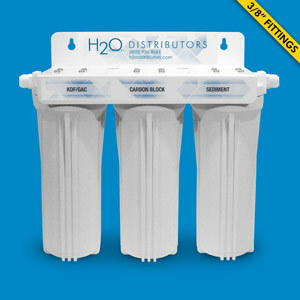 Before buying a filter, be sure to check out the different kinds available. Filtration systems can vary greatly in quality, efficiency, and price. The cost and trouble of keeping them maintained is an important consideration. Steam distillation is the surest method. Water is heated to boiling, and the steam is collected and cooled until it condenses again without the impurities. This method works, but distillers are expensive, slow, and use power. Distillation does not remove some volatile organic compounds, such as benzene and radon — so the distilled water should go through a carbon filter before use. Carbon filtration is probably the most popular system. 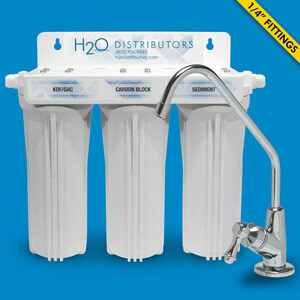 Units containing specially prepared, porous carbon attach under the sink or at the tap. It works fast, removing chlorine, toxic organic molecules, and bad tastes from water. Look for specially designed, solid block and precoat-activated carbon filters, which also effectively reduce heavy metals such as lead and mercury. (Not all carbon filtration systems capture heavy metals or minerals). The downside to carbon filtration is it stops working as soon as the carbon becomes saturated with contaminants. Also, as the carbon collects organic matter, it starts to become a breeding place for bacteria. The bacteria shoot out into your first glass of water of the day — unless you take a minute to flush water through the filter first. Ion exchange rids water of dissolved minerals and toxic metals, but it is less efficient at removing organic molecules. Charged particles in the filter exchange themselves for charged particles in the water. 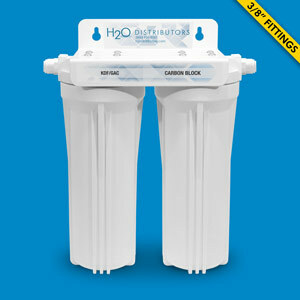 These filters normally employ sodium in the exchange, so unless there's another process to remove it later, you could end up with harmful levels of sodium in the purified water. This method also corrodes pipes and can cause high levels of copper, iron, and lead in drinking water. I don't recommend it. Purifiers that use ultraviolet light to kill microorganisms have no effect on chemical toxins. In the past, I used a system called reverse osmosis (RO). RO removes minerals and toxic heavy metals like lead, along with organic contaminants (including cryptosporidium). In an RO unit, water is forced through an osmotic membrane (also called a semipermeable membrane, because the holes allow small water molecules, but not contaminant molecules, to pass through). Bacteria are blocked out, and they don't grow on the filter. All things considered, I think this is a good way to go. However, you should know that the process is slow and wastes a lot of water, which is why I finally stopped using it, since I live in a part of the country where water is scarce. RO water is very corrosive to pipes, so place the system near the tap. I'm now in favor of a system that combines a solid carbon block filter with a copper-zinc alloy called KDF. This dual system removes most impurities and is affordable and simple. The KDF puts small amounts of copper and zinc into the water, which is healthful. Internationally acclaimed best-selling author Dr. Andrew Weil, a pioneer in holistic healing and alternative medicine, is a graduate of the Harvard Medical School. His books Spontaneous Healing, 8 Weeks to Optimum Health, and many others have made him the leading spokesperson for what he has named "Integrative Medicine." Currently, Dr. Weil is Associate Director of the Division of Social Perspective in Medicine, University of Arizona in addition to his general practice in Tucson. As a well-traveled and practicing physician, Dr. Weil supports the idea that the body has natural healing abilities that are routinely ignored in Western medicine. In addition to his books, PBS has aired a program featuring Dr. Weil discussing the strategy behind 8 Weeks to Optimum Health. H2O thanks Dr. Weil for publishing our phone number in 8 Weeks to Optimum Health and recommending us as a supplier for water filters.